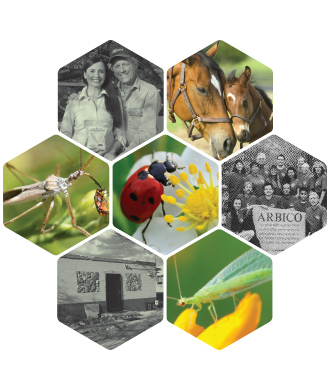 ARBICO Organics is pleased to provide chemical-free fly control with customized Fly Eliminators programs and knowledgeable customer service help. If you have a question, give us a call! "The Del Mar Thoroughbred Club horse racing facility in San Diego County has been using parasitized fly pupae biological fly control from ARBICO since 1985 with great success. Each summer nearly 2,000 horses and hundreds of thousands of race goers converge on this community to live, eat and play, making fly control a top priority." Select the geographical zone you live in, which specifies your recommended program start date. Select the shipment size you wish to receive. This corresponds to the number of animals you own or house. Determine shipment frequency: every 3 weeks or 4 weeks based on the severity of your fly issues. Choose the number of shipments you want your Fly Eliminators program to include. Fly Eliminators include USPS shipping costs. 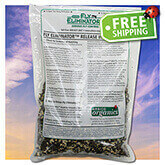 Fly Eliminators program customers on 3-4 week programs receive shipment boosters on all July and August shipments. These are doubled shipments supplied by ARBICO Organics to combat fly blooms during the summer months. If you house more than 50 horses or other livestock including feedlot, dairy, swine, egg laying facilities or other types and combinations of animals, please call us at 1-800-827-2847 to set up a customized fly control program for your locale. Set up your Fly Eliminators Program now. For single shipments, Click Here.